With more than 1,000 different types of gold bars from 145 different manufacturers and 35 countries; a total weight of 230 kilos of pure gold and in total valued at almost 7 million euros, the collection recently acquired by the German company Degussa Goldhandel GmbH becomes the largest and most important collection of gold. This private and exclusive gold collection left the depository to embark on a trip to Spain, arriving on 28th May near the Retiro Park in Madrid, the Spanish capital, under the name “Rothschild Collection”. According to Jean Weindenbach, CEO of Degussa in Spain, the Mediterranean country was the choice this time, following the expansion ideas and strategies of this German company. Gold never fails to attract the masses, and this exhibition has been no exception. The visitors could marvel at gold pieces of diverse origins – in place and time. From antiquity onwards through Roman Empire, Middle Ages, Modern Era, etc. Gold coins and jewelry from shipwrecks such as the treasure found in “Nuestra Señora de Atocha” a Spanish galleon wrecked in Florida coast in 1622. Also gold pieces inspired in nature, commemorative gold bars of historical events, including gold in shape of symbols of luck from diverse countries. This time, the opportunity has been granted to Madrid and every tourist or citizen who wishes to admire this gold collection. Now this gold treasure says goodbye to the city, but greets more cities and people to come! Gold does not just attract for its peculiar beauty, but also for financial purposes. 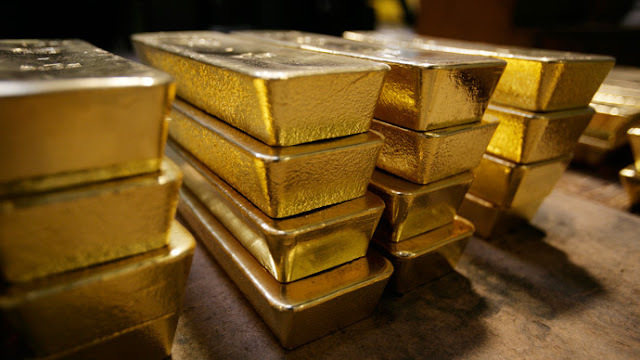 The clients of Emgoldex choose the investment gold bars of the highest quality offered in the online store of the company. They create their own gold business which translated into financial independence for the future! Share this piece of news in your social networks! Share the world of gold!